Hoorah! Cake! 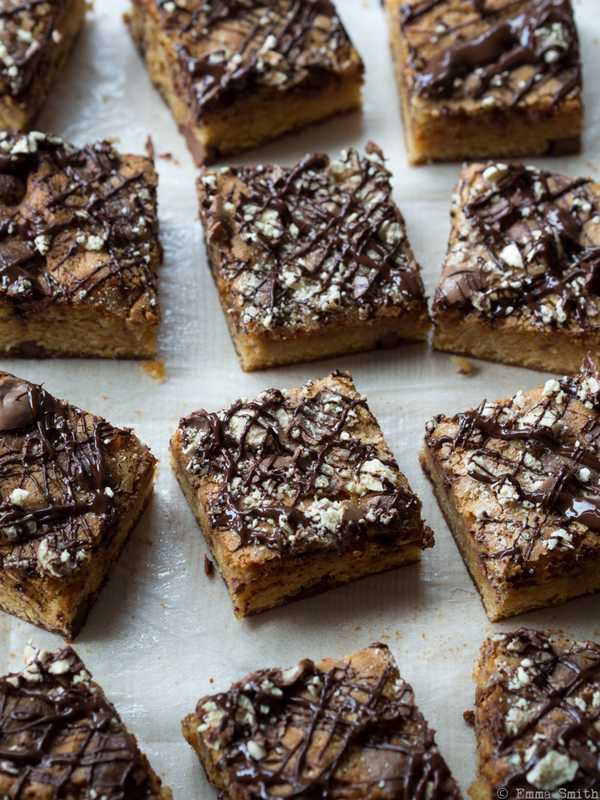 I hear you cry…..I’ve been missing baking and couldn’t resist these Maltesers Blondies by Jo Wheatley when I saw them in the March edition of Sainsbury’s Magazine. All but two were quickly dispatched to my housemates office and out of temptation. They were definitely better the day after baking as they became more chewy and can be stored in an airtight container for up to 3 days or frozen without the topping. Preheat the oven to 170c or gas mark 3 and lightly grease and line a 20cm square baking tin. Place the white chocolate and butter in a heatproof bowl over a pan of simmering water and gently melt together. Remove from the heat and stir until smooth then leave to cool slightly. Add the sugar, vanilla and beaten eggs to the cooled chocolate and butter mixture and stir well to mix. Sift both of the flours and the Horlicks powder into the bowl and fold together. Add 100g of the Maltesers and 60g milk chocolate stirring to combine then pour into the lined tin. Bake on the middle shelf for 35-40 mins. Roof bowl over a pan of simmering water. Crush the rest of the Maltesers then drizzle over the melted chocolate and scatter the Maltesers. Cool completely then cut into squares.